Sani-Cloth Plus Germicidal Disposable Cloth. 4.85%alcohol. Cleans, disinfects and deodorizes hard, non-porous surfaces. 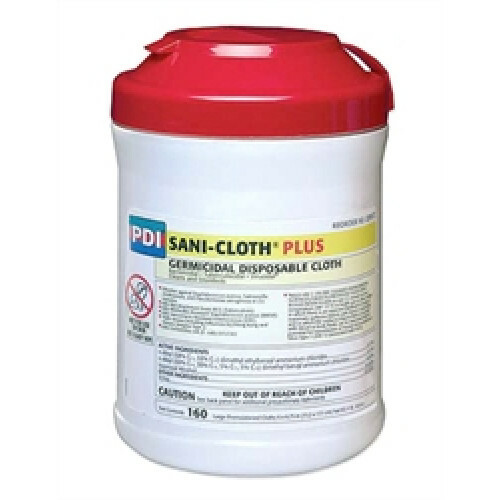 Sani-Cloth Plus kills: RSV in one minute; HBV and HIV-1 in 2 minutes; TB, MRSA, VRE, Staphyloccocus aureus, Salmonella cholerasuis.